Scott Sommerdorf | The Salt Lake Tribune Jackson Elementary principal Jana Edward, center, smiles, as sixth grader Kiana Phillips, left, answers a question about why the name change is important to her, Wednesday, February, 7, 2018. The school is planning to change it's name to Mary Jackson Elementary after being named for Andrew Jackson. Scott Sommerdorf | The Salt Lake Tribune Jackson Cougars is in various places inside Andrew Jackson Elementary, but there is no direct association with the 7th President of the U.S. in the school. The Elementary School is planning to change it's name to Mary Jackson Elementary, Wednesday, February, 7, 2018. Scott Sommerdorf | The Salt Lake Tribune Sixth grader Kiana Phillips speaks about her feelings about the plans for Andrew Jackson Elementary to change it's name to Mary Jackson Elementary, Wednesday, February, 7, 2018. Scott Sommerdorf | The Salt Lake Tribune Fifth grader Andrei Olivo speaks about his feelings about the plans for Andrew Jackson Elementary to change it's name to Mary Jackson Elementary, Wednesday, February, 7, 2018. Scott Sommerdorf | The Salt Lake Tribune Jackson Elementary is in various places outside Andrew Jackson Elementary, but there is no direct association with the 7th President of the U.S. in the school. The Elementary School is planning to change it's name to Mary Jackson Elementary, Wednesday, February, 7, 2018. Scott Sommerdorf | The Salt Lake Tribune Jackson Elementary is in various places outside Andrew Jackson Elementary, but there is no direct association with the 7th President of the U.S. in the school. The Elementary School is planning to change it's name to Mary Jackson Elementary, Wednesday, February, 7, 2018. Scott Sommerdorf | The Salt Lake Tribune A detail of a student-made mural inside Andrew Jackson Elementary. The school is planning to change it's name to Mary Jackson Elementary after being named for Andrew Jackson, Wednesday, February, 7, 2018. Scott Sommerdorf | The Salt Lake Tribune A mural inside Andrew Jackson Elementary. The school is planning to change it's name to Mary Jackson Elementary after being named for Andrew Jackson, Wednesday, February, 7, 2018. Scott Sommerdorf | The Salt Lake Tribune Jackson Elementary is in various places outside Andrew Jackson Elementary, but there is no direct association with the 7th President of the U.S. in the school. The Elementary School is planning to change it's name to Mary Jackson Elementary, Wednesday, February, 7, 2018. 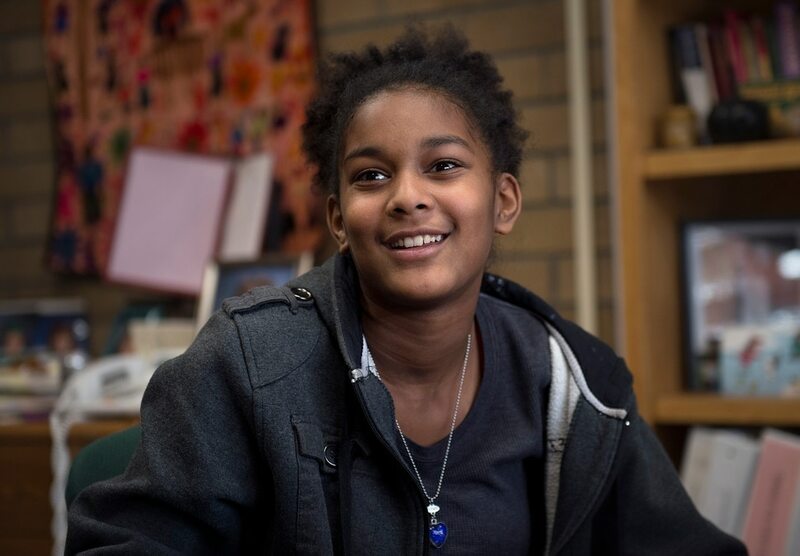 Kiana Phillips was working on an “All About Me” assignment last year at Jackson Elementary in Salt Lake City when she learned that her aunt had traced their family back to slaves from north Africa. Suddenly the sign above her school door felt personal. Andrew Jackson owned nine people when he bought his Nashville plantation, the Hermitage; within 25 years, his slaves numbered more than 100. The Salt Lake City school board’s decision this week comes as scrutiny of memorials for historical figures tied to racism is increasing — and particularly for Jackson, criticized for campaigns against American Indians but repeatedly praised by President Donald Trump. Trump has hung the seventh president’s portrait in the Oval Office and traveled to his tomb in Nashville to pay respects. He has scoffed at an Obama administration move to replace Jackson’s image on the $20 bill with that of abolitionist Harriet Tubman, calling it “pure political correctness,” and Trump Treasury Secretary Steve Mnuchin has said that it is not a priority. 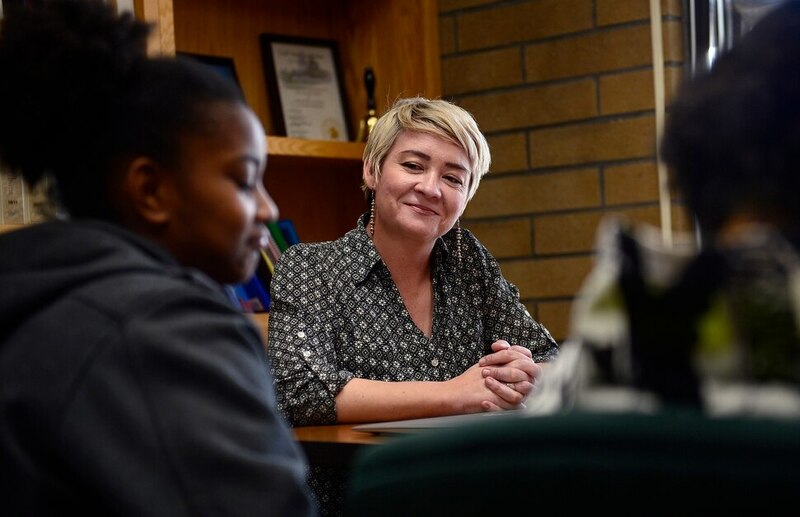 On Tuesday night, Tiffany Sandberg, who represents Jackson Elementary’s district on the school board, choked back tears as she read a motion to rename Salt Lake City’s oldest elementary school Mary Jackson Elementary School. It passed unanimously, to a standing ovation from parents, diversity advocates and other community members gathered at the meeting. “We just thought it would be good to have a school that honored somebody I could tell my children to look up to,” said Neal Patwari, chair of the school’s community council. Staff and parents for years had discussed renaming the school, said principal Jana Edward; the community council began taking formal steps more than a year ago, gathering input. Initially 184 parents, alumni and others weighed in through forms, petitions and meetings; 73 percent of them supported a name change, Patwari said. “Some of my colleagues thought it was beyond offensive to have to go to a school named [for Andrew] Jackson,” Edward said. Students weren’t happy with the name, either, said fifth-grader Andrei Olivo, who served on a committee to investigate renaming the school. A mural in the school’s front hallway celebrates “100 years of cultural and ethnic diversity throughout our community.” But to get inside, the students — 85 percent of whom are children of color — pass under a sign honoring Jackson. Though long admired as a populist and military hero, Andrew Jackson increasingly has become a polarizing historical figure. He is maligned as a slave-owner and as the engineer of the deadly “Trail of Tears” relocation of American Indians in the 1830s. His administration, along with that of his successor, Martin Van Buren, forced thousands of families from tribes in the southeastern United States to leave their ancestral homelands to make way for cotton farming, sending them west in journeys where large percentages — more than 20 percent to 30 percent in some cases — died from cold, starvation and disease. And the origin of the school’s name wasn’t terribly moving, she said. The committee reviewed meeting minutes from the 1800s that showed the district simply wanted to use a president’s name, and a school board member suggested Andrew Jackson because his own name also was Jackson. Of the 238 votes the renaming committee received, 61 percent chose Mary Jackson, with Fairpark Elementary and Rising Elementary far behind, according to a report by Patwari. Edward said a number of respondents wanted to keep the school named Jackson for continuity and school pride, even if the namesake was not the seventh president. Mary Jackson worked as a math teacher in a black school in Maryland and later as a bookkeeper and secretary before she joined the computing pool in 1951 at Langley Memorial Aeronautical Laboratory, according to a NASA. She was recruited to work with engineers in the lab’s supersonic pressure tunnel, where she conducted experiments with winds almost twice the speed of sound. In order to be hired as an engineer, she petitioned the city of Hampton, Va., for special permission to join graduate-level night courses in math and physics taught at a segregated, all-white school. Mary Jackson died in 2005. The board called for a display honoring her in the school, and for a renaming ceremony later this year. Edward said the school is reaching out to Jackson’s family to participate in the festivities. Phillips broke into a smile at the mention of Mary Jackson’s name. She said Jackson reminds her of her aunt, who worked herself ragged in school to become a biologist. “She had to go through a bunch of rough classes … but she gets to do all these great things,” Phillips said.